“Collaboration between the teams went exceptionally well. As a result, we were still able toimplement the project on time and on budget despite complex challenges.” Herman Coetzee, Head Value Management Office, PPC Ltd. 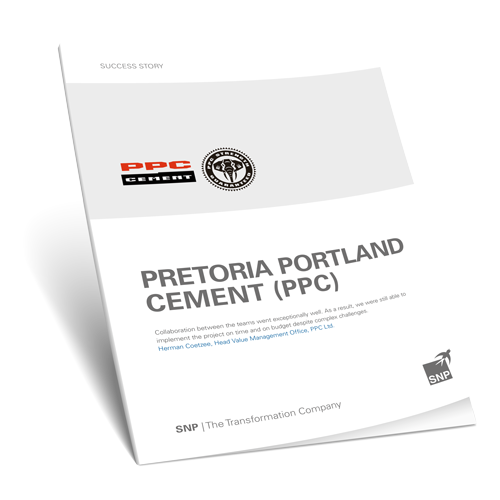 In 2013, PPC decided to consolidate the SAP instances in its plants in Zimbabwe and South Africa. PPC chose SNP Transformation Backbone® as its preferred solution.